The chances of meeting someone you already know may seem slim while traveling, but you’ll to be meeting a whole new bunch of people, even if it’s just the passengers on board with you on the plane. What better way is there to make a good impression on people you’re just about to meet for the first time, even if it is in passing, than to look fashion forward even on the go? Traveling doesn’t mean you’ve to sacrifice on fashion; looking and feeling good is your right wherever you go. Traveling in style does not imply that you must wear something over the top. You can wear something that is comfortable yet in fashion so that you don’t get stressed out on that nine hour flight and even if you do, you do it in style. There are plenty of flats that you can choose from. If you’re traveling to a city with a warm climate, you could go for gladiator sandals. However, if you’re just seeking comfort with style, you could wear a pair of ballet flats. These are mostly in trend with a very glitzy twist it won’t be a bad idea to wear a pair with loads of glitter on it. Why restrict your fashion fever to your clothing alone when there are other items to your traveling needs that can be made more stylish as well? 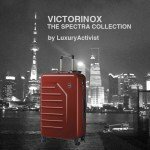 There are countless designers that make suitcase sets for you to buy and travel in style. Whether it’s a small carry on to a large trunk, designer suitcases come in a variety of sizes for all your traveling needs. Furthermore, with a traveling suitcase set, there is little chance of the departure and arrival airport transportation services mixing up your luggage with someone else’s. No matter where you’re headed, keeping a jacket is a wise decision. If it’s a warm city you’re headed for, keep a light summer jacket and for harsh weather conditions, maybe something furry (faux would be great). Keeping a jacket not only makes you look chic and sophisticated, but also protects you from any unexpected weather at your chosen destination. Jackets also are easy to dress up or down in. Once on the plane, you can take it off and relax and then easily pull it on when leaving. Go for jackets that come in a denim design or you can also opt for the new floral ones. Another item not exclusive to your wardrobe; a passport case not only saves your passport from wear and tear, especially if you’re a frequent traveler, but also adds to your style statement. Why keep that boring cover that most travelers carry when there’s a variety of passport cases to choose from? Among passport case trends, snake skins cases are most in fashion this year, so you can look into them and other trendy options before you set off on your next trip. Traveling, especially on long hour flights, is quite tiring and most people prefer comfort over looking good. However, by adding a few small items, you can be at your ease without depriving yourself of the pleasure of looking good.